November 8, 2018 – The latest issue of the successful „Meteorite Impacts“ series represents an entirely new dimension in minting technology. 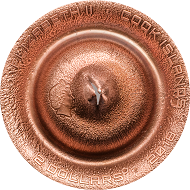 As a matter of fact, CIT Coin Invest had to develop a suitable packaging due to the crater’s sculptural depth. Cook Islands / 2 dollars / silver .999 / 1/2 oz / 38.61 mm / Mintage: 2500. The surface treatment of the coin is unusual as well. So far, we had only seen non-ferrous metal being enhanced using silver or gold plating, but now this method has been reversed: the silver coin acquires a bright bronze tone due to copper plating which is reminiscent of the sand found in the Moroccan Sahara Desert. A small piece of this meteorite has been placed on every single coin. 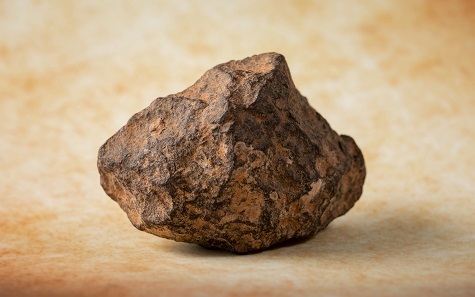 This is where the meteorite, which was found near Erfound in February of 2012, comes from. It could originate from Mercury as its unusual structure suggests. A small piece of this meteorite – NWA 6827 for experts – has been added to the coin. The breakthrough is reminiscent of a meteorite crater. 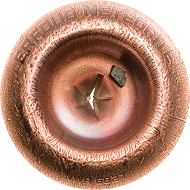 The Erfoud Meteorite constitutes the 14th issue of the successful „Meteorite Impacts“ series, a series which has been fascinating numismatists and collectors of geological rarities since 2004. 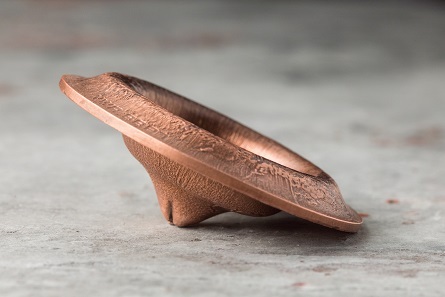 It demonstrates how coin minting has developed into a three-dimensional art of minting in the past years. The „Erfoud Meteorite“ is a temporary prime within this development and its depth and breakthrough could only be achieved with the most precise mastery and coordination of an extremely high pressure. To learn more about this coin please visit the CIT Coin Invest website.